A brand-new release TODAY from Cindy Woodsmall & Erin Woodsmall! Cindy is well-known for the Amish novels she writes, but this is her very first Southern novel, hopefully the first of many! When an unthinkable loss sends Tara Abbott’s life spiraling out of control, she journeys from North Carolina to Georgia’s St. Simons Island. Although confused and scared, she hopes to find answers about her past—her life before the years of foster care and raising her two half-brothers as a young adult. Will she find steady ground on the island, surrounded by an eccentric-but-kindhearted group of older women called the Glynn Girls and a determined firefighter? Or will the truth splinter what’s left of her identity into pieces? New York Times best-selling author Cindy Woodsmall releases her first southern novel, a Steel Magnolias-meets-Sweet Home Alabama story set on St. Simons Island. Erin Woodsmall is a writer, musician, wife, and mom of three. She has edited, brainstormed, and researched books with Cindy for almost a decade. She has family roots in the Golden Isles of Georgia, and spent time every summer on St. Simons Island. I have been an avid reader of Cindy's books, and I have to say I am so happy she decided to write this novel, a new genre for her, as it is amazing! Cindy and Erin definitely make a good team with writing as this story is so beautifully written! Right away in the first chapter the reader is introduced to Tara and her roommates, who really are more than that but family, sisters, as they spent time together in the same foster home. Tara and these other girls are taking care of themselves but barely out of high school and/or working on their GED, so really no more than kids themselves and pursuing dreams and trying to stay afloat. Tara receives one short letter than puts a snare in her path, her path as she struggles to do what is right for all involved. This is such a touching story as it is a story of finding one's self, discovering one's roots, and deciding how this is all going to play together to determine one's future. I work with at-risk children and some have been in and out of foster care and these children just tug at my heart and so immediately I was drawn into this story; it is hard to put down once you start reading! I thoroughly enjoyed Joanna Davidson Politano's debut novel, "Lady Jayne Disappears," and was excited to see that her 2nd novel was out! "A Rumored Fortune" is another masterpiece of a book to read and enjoy! Set in the 1800's in a England, the reader is instantly transported back in time to this castle and vineyard. Tressa's father did not trust banks and his money and fortune are supposedly hidden among the castle and grounds, but no one knows where and this becomes a big issue when her father is no longer around. Tressa is trying to keep the vineyard running, but with lack of funds this is difficult as it trying to keep others from coming in to search for the money. Tressa quickly learns how motivating money is and what greed with cause people to do and act. Joanna writes in such a way that it is so easy to become so immersed in the story that you become a part of it. I love how the story is told from her perspectives, two very different individuals in two different stations of life, but really there are similarities there. This is such a beautiful story sprinkled with romance, mystery and the theme of trust and God's love and guidance that is never failing. This is a must-read for historical fiction fans! "The Come Back Effect: how hospitality can compel your church's guests to return," written by Jason Young & Jonathan Malm, is a good, practical read for those involved with church ministry. So much is covered in this book as far as all that is observed during a visit, things that may be overlooked by individuals who are there all the time and the importance of first impressions. What is stressed and is important to remember is that people, the relationships, play such a huge role. The church is not the building, but the people, WE need to BE the church. This isn't to say that the church and the physical environment doesn't play a role and isn't important, it is, it all is; however, individually we need to be aware of ourselves. We need to think about how body language, being in the moment and really letting Jesus shine through us. This is a great read that is filled with practical tips and things that may not necessarily be thought, but are most definitely important. 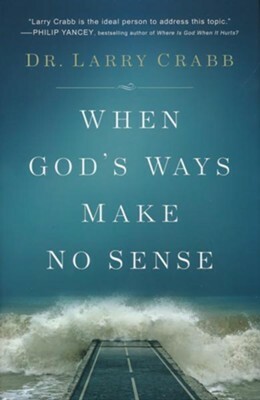 Dr. Larry Crabb shares and goes into depth with three individuals from the Bible and looks at their responses to God in his new book, "When God's Ways Make No Sense." Dr. Crabb addresses the fact that life does not go as to how we in our minds feel like it should go or align with our thoughts of how life should be as we are living a good, God-honoring life, and therefore it can become difficult to trust God and rely on Him and trust that it is His plan. Jonah, Saul and Habakkuk all had to make decisions on how to respond to God and they each chose a different response to what He wanted them to do. Learning from these individuals along with other stories shared throughout this book make it a great read for inspiration and encouragement for following and trusting God even when it is not matching up with our own thoughts and making sense. 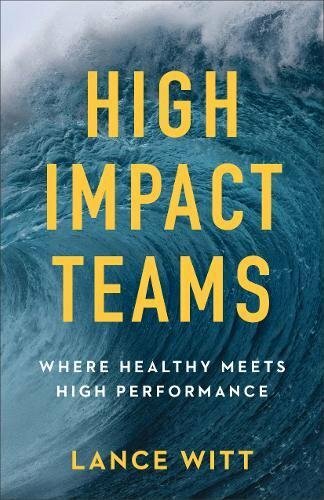 Lance Witt's latest novel, "High Impact Teams: where healthy meets high performance," is a must-read for those whom are leading a group or a team in any capacity. Lance stresses the point that you don't accidentally become part of a great team, a successful team. It takes every single person to buy into the team's purpose, the team's beliefs, the team as a whole. The chapters in this book are short, however they have lots of great points to read and think about. Then each chapter ends with discussion questions for the group/team to discuss together. This will address things that will keep the group consistently growing in the right direction and bringing them together, not drawing them apart and it also does address the things that will put a wedge in the midst of the team and be a hindrance. This is an excellent read for groups to read through and process together. 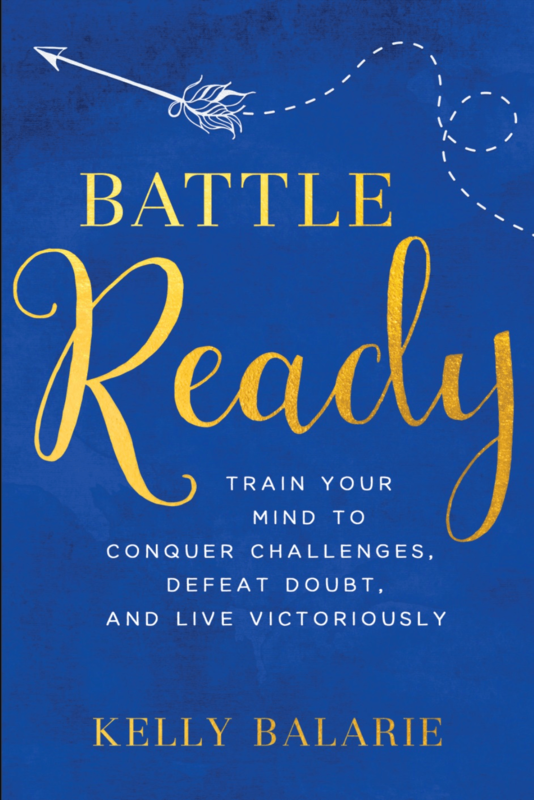 "Battle Ready: train your mind to conquer challenges, defeat doubt, and live victoriously," written by Kelly Balarie is an interactive book that will challenge the reader. This book is divided into 12 main sections, each section being one of the mindsets that we need in order to be "battle ready." Each mind-set section is further divided into sections, each focusing on a specific point. Our mind plays so much into how we live, our choices we make, what we think and believe we can do, by changing our mind can help us change so much in our lives. This book is perfect to study together in a small group setting as there are individual reflection questions and tasks to do throughout the reading; however each section ends with group discussion questions as well. There are also links to log onto online to watch things or download reminders to go along with and further this study. I love the layout of this book and the interactive nature and feel of it. I highly recommend this as the mind is such a powerful thing and by training it real differences can be made! I have been waiting for "Called to Protect," book #2 in the Blue Justice series, to come out since I finished reading book #1! Lynette Eason has another incredible, heart-pounding series here! The St. John family is the focus of this series as each member is involved in law enforcement, and each book focuses on 1 member of the family, one of the daughter Chloe is the main character of this one. Chloe and her K-9 partner Hank have a busy job tracking down drugs during routine stops and accidents, and incidents of the sort; however things take an interesting turn when Hank discovers a false floor and over a dozen teenage girls hidden in the bottom of a tractor trailer. Chloe knows she recognizes one of the girls and she does as her father is a member of the police force and a former crush of hers. However, she also recognizes the top that this girl is wearing as the one that her cousin was wearing when she disappeared 6 months earlier. Chloe finds herself in the midst of a human trafficking ring and a plot for the local judge to be murdered. The St. John family finds themselves involved in this case in their various roles as they race against time constraints to rescues the girls, protect the judge, and ultimately themselves as the stakes are risen. Lynette does such an incredible job with writing as the book held my interest from the start to the very end, keeping me guessing all the way to the end as to who all was involved, including the guy on the inside. The relationships among the characters all play into this as well adding an element of romance and family bonds and ties as well. I read the first chapter for book #3 and this has left me wanting to read the entire book now as well, but has me waiting eagerly for it's release in January! 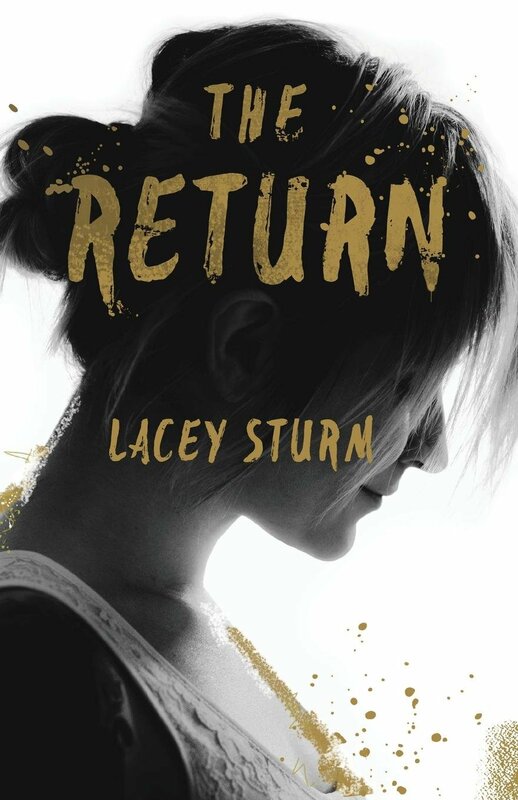 "The Return: reflections on loving God back," written by Lacey Sturm is an amazing collection of her thoughts, ponderings and learning. This is such a beautiful collection of writings that really show Lacey's heart and draw the reader into her world and her love for Jesus shines through it all. God has given to each of us our talents and gifts and yet we do not think about this or give back to Him. Often the talents go unused even. Lacey works through these thoughts and concepts throughout this book and I just love how this book is, the journal entries, the various types of writings and thoughts shared throughout, it was as if we were sitting down sharing our own personal books and thoughts with each other as good friends. I highly recommend you pour a mug of coffee or tea and get cozy to curl up and get reading this treasure. "The Aging Brain" is a very thorough book filled with information about aging, but different aspects of how our lifestyle and habits impact our brain and the aging process. Aging happens to us all; however we can be proactive and help it be not so drastic and help keep our brain sharp. Each chapter is filled with scientific research and tips along with proven facts followed by learning points and an action plan to follow that turns the facts into an action plan for the reader. What we eat and drink directly impact our bodies, our brain, our overall health and brain. This is something we know; however it is not something we really think about each time we put a morsel of food or candy into our mouths. This book will help you to be overall aware of all of the little things that we are doing each day, choices we make, how we live our lives, all of these things that are impacting our health, our brain and how we age. I highly recommend this book! "12 Faithful Men" is an inspiring and encouraging read for pastors and men involved in ministry! This book is a collection of mini biographies focusing on the lives, the struggles and highlights of 12 men whom have been leaders in ministry. Their journeys have not been easy; however their perseverance and endurance have stayed strong and helped them through the trials. The first chapter focuses on Paul and from any Biblical studies on him, it is easy to know that he had his fair share of struggles, but yet he is an example for us all to follow, those directly in the forefront of ministry and those in the shadows as well. Other individuals include Spurgeon who is a well-known name, to other lesser known individuals such as Andrew Fuller. I highly recommend this book for Pastors and other leaders as it will serve as an encourager and offer hope in the midst of struggles and trials. "A Daring Venture" is book #2 in Elizabeth Camden's Empire State series and it is another excellent book by her! I am really enjoying this series as it is filled with historical detail, great characters and intriguing storylines and a added perk of New York being my home state! Rosalind is out to advocate clean drinking water in every home, and has been working against waterborne diseases and she is at the front of the latest research and work in this field. However, there are many who are skeptical of this work and the methods leading to divisions among the city and individuals directly involved. Nick who is the Commissioner of Water for the city is one of the skeptics and he is firm in his position just as Rosalind is in hers. However, it is hard to fight against their attraction to each other as well. This book is a nice mixture of adventure, suspense and romance. I love the historical details to the story as I love reading about different time periods and this is fascinating as to how New York was just over 100 years ago as this was time for such big changes and advancements. I am really looking forward to the next book in the series as one of the minor characters will be the main character, Eloise, as she was an intriguing character in this book. I highly recommend Elizabeth's books as there has not been 1 to disappoint me yet! God has given each of us life, none of us knows how long we will be living our life here on Earth. What we can do is live each day that we are given to the fullest extent in every area of our lives. Ronnie W. Floyd focuses on this in his new healthy living/wellness/self-help book, "Living Fit - make your life count by pursuing a healthy you." This book is divided into the 5 main areas of one's life, areas which are depicted cutely on the cover: living fit spiritually, physically, relationally, financially, and emotionally. Each of these sections is further broken down further into four chapters, each one delving further into a specific aspect. 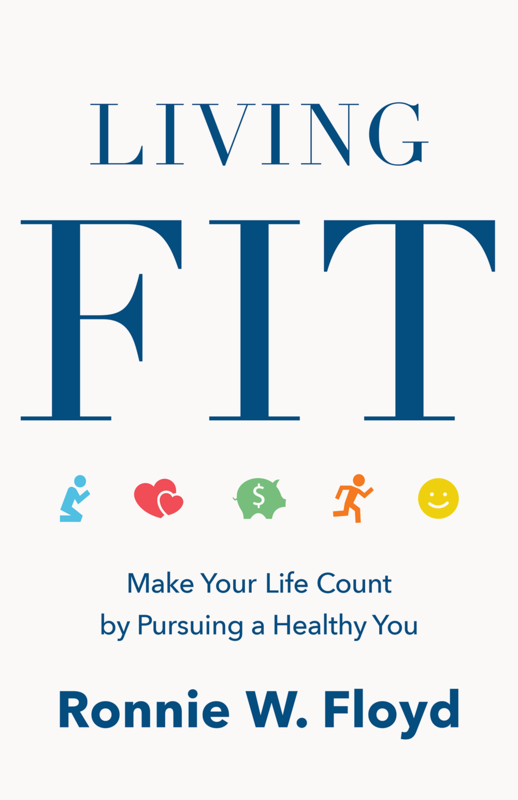 In the living fit spiritually section, there is a chapter focusing on intentional living, which is an area I have really been focusing on lately in my own life. There are different actions highlighted through and various quotes and lists. One statement that was highlighted and really stands out to me is this: "God desires to have a meaningful relationship with you daily. With Him, you are never put on hold and you never have to stand in line." Love this reminder! I really have enjoyed this book and this is one that I have highlighted various lines throughout and will refer to back frequently when I feel like I need reminders and encouragement.